I've decided to do all my blogging on my website now, so you can find my announcements, ramblings, and updates all in one place. Today is my Monday. I decree it so. Yes, I know it's actually Tuesday, but yesterday was catastrophe after catastrophe, leaving me completely exhausted mentally and physically by three in the afternoon without having any writing to show for it. Real life can be so demanding that way, showing up at the most inconvenient moments, when I have deadlines calling my name. Not that today will be much better, to be honest. Tuesday afternoons have two different guitar lessons, mine and my son's, and tonight is the band/choir concert at my daughter's high school. I'm part of the bake sale committee for the band boosters, which means I'll be arriving with twenty dozen cookies of seven different varieties that I've made over the past two days to sell. That was actually the only non-stressful part of the past two days. I volunteer because it gives me an excuse to bake without having to have all the sugar stay at my house. We can have a cookie or two apiece of each kind, then I get to send all the rest off. Sweet deal, if you ask me. So maybe that means Wednesday will actually be my Monday. Considering I only have three hours of viable writing time today, I might have to consider that. MLR Press put out a submission call a couple weeks ago that has my brain awhirl. As soon as I have a little room in my schedule, I'm going to write something for it. It'll be nice to work with them again. It's a great family, incredibly supportive of all of their authors. Budding Hopes was the last story I had come out at MLR, three years ago for Valentine's Day. It's a romantic little ditty set in 1950s Baltimore about a flower shop employee and the doctor who visits him every week. For eight months, Dr. Mark Vance has been visiting Sheehan's Nursery to buy flowers for his mother's grave, and every week, Hal Sheehan slips an extra lily into the bunch. Mark would love nothing more than to get to know the gentle giant better, but in 1954 Baltimore, a man just doesn't ask another man out. His fears are compounded when a visit the day before Valentine's casts doubts on Hal's intentions. Maybe he really was meant to live a life of secrets. Or maybe he just needs the holiday to discover the best secret of them all. The excerpt at the publisher site is the opening of the story. Honestly, I adore this romantic story. The time period was fraught with fear and still rife with possibility, and the potential of Mark and Hal still gives my hope a flutter. At some point, I'd really like to write a follow-up and see how they are doing. Check it out at MLR! Like so many others, I adore Idris Elba, but I've only just recently started watching what's probably some of his best work--Luther. For those who don't know, it's a BBC crime show about a damaged cop, but man, it is so much more than that. Elba is intense and riveting, but it's got an outstanding supporting cast as well. I've only just finished the first season--that was one advantage to being so sick the past week, I got to watch a lot of television--but I'm anxious for the rest. Look at him. And you know who else is in season 1? The hypnotic Ruth Wilson. 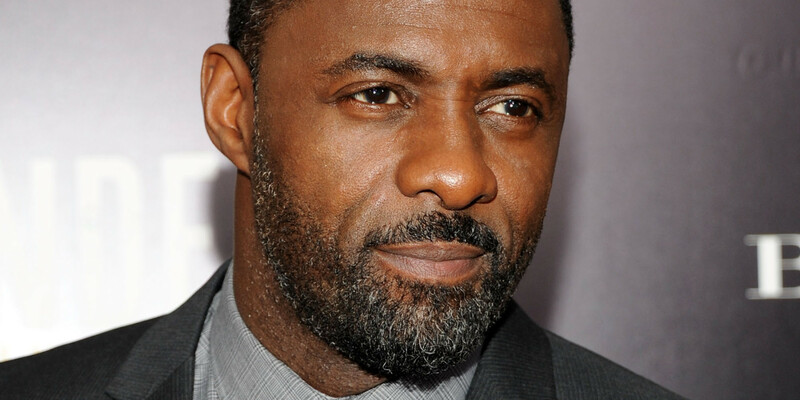 I have a friend who has been desperately in love with her since watching The Affair, so I'm pressuring him to give Luther a go. I have no idea how much longer she'll be on, but whatever he can get, I'm sure he's going to love it. But there's others worth noting. Paul McGann. Saskia Reeves. The adorable Warren Brown. If you haven't checked this show out yet, you need to do it now. It's streaming on Netflix. Treat yourself. I wish I could say I'm all better, but I'm not. I spent most of the last week curled up on the couch with no energy and a cough that wouldn't quit. While I'm still pushing myself back to health, the one bright side was that I got to watch a lot of movies and TV. One of those movies was the documentary, Before You Know It. It follows three senior citizens, all of whom happen to be gay. There's Dennis, a widowed crossdresser who wanders from his home in Florida to a retirement community in Oregon to a gay cruise in search of companionship. There's Robert, an aging drag queen who owns a bar in Texas and is surrounded by friends. There's Ty, a gay rights activist in NYC who seems the most well-adjusted of the three. There is no judgment or even intense scrutiny here. The filmmaker seems content in capturing these men as they truly are, though a distinct melancholy permeates the entire film. The men couldn't be any more different, and yet, in a lot of ways, their stories are universal. Dennis represents the loneliness that plagues so many senior citizens. All he wants is company, and though he's treated politely by the younger generations, he spends most of the movie a single satellite roving around the world. Robert seems to be happy, with raucous friends who would do anything for him, and yet his health is failing and he suffers from depression as he mourns his dead partner. These are issues that plague many of our older generation. They're not unique to these men just because they're gay. It doesn't take away from how affecting it can be, but at the same time, I couldn't shake the feeling that there were some real missed opportunities. I liked the documentary, but I didn't love it. But you be the judge. It's streaming on Netflix right now. Though I would love to have a real post for today and tomorrow, I've managed to catch my daughter's cold and have been pretty useless for the past couple days. So I'm going to cut my losses early this week, and wish everybody a good weekend now. We don't have any plans for the American holiday, but if you go, have fun!